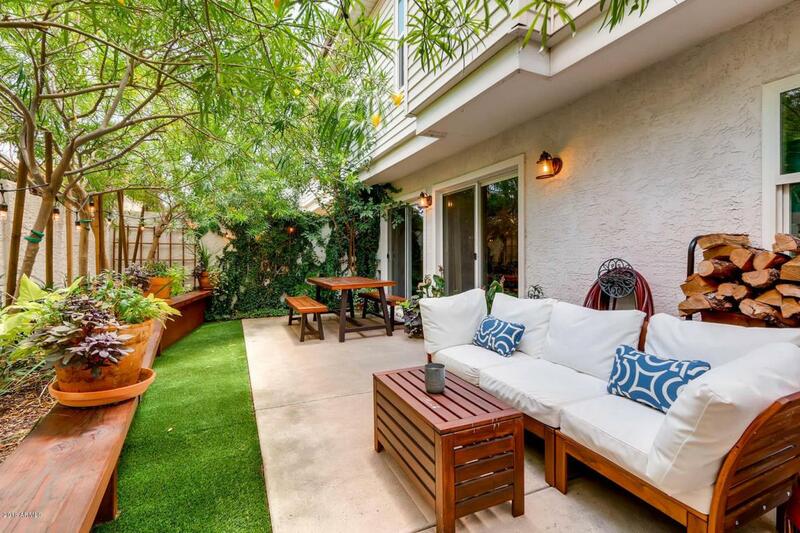 Stunning townhome in Midtown Phoenix. 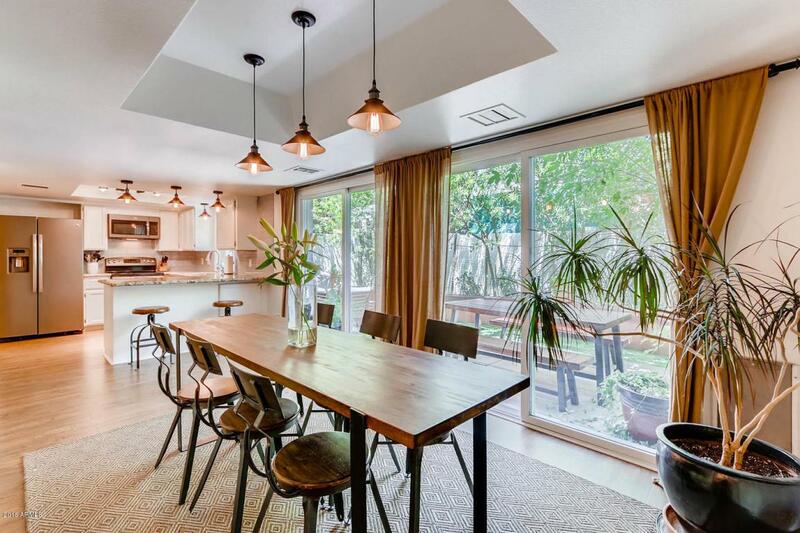 You will adore this remodeled 3 bedroom, 2.5 bathroom two-story gem. 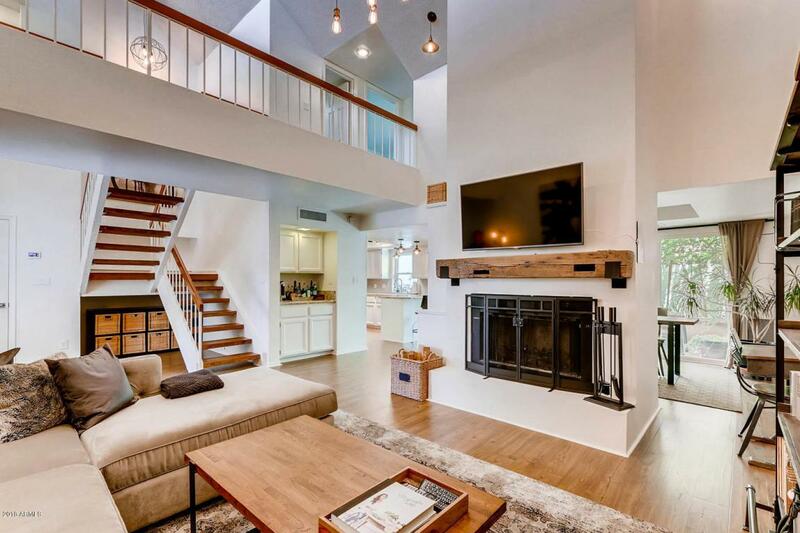 The moment you walk in, you'll be wowed by the gorgeous fireplace, cathedral ceilings with custom lighting and mantel, and architectural stairway. 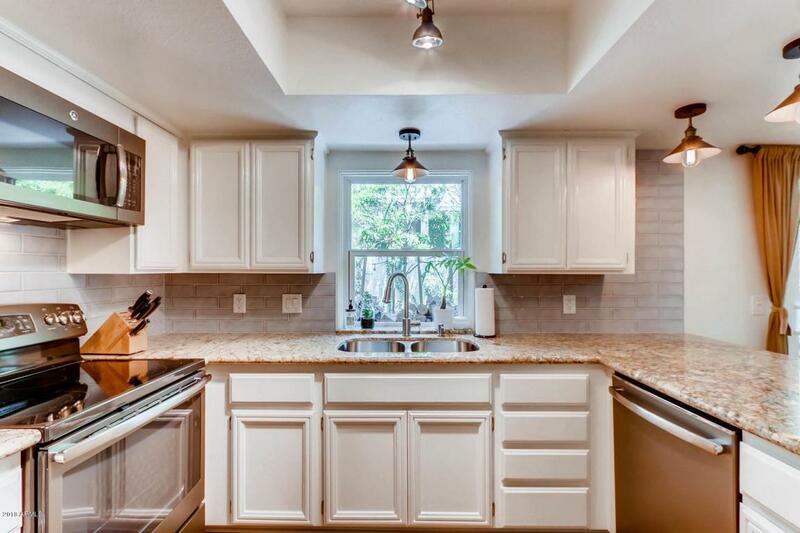 The bright kitchen has white cabinetry, stainless appliances, granite, and gorgeous tile backsplash. A large dining area with views of a beautifully landscaped outdoor patio. Upstairs you will love the large master bedroom and bathroom. Newly updated master bath with granite counters, beautifully tiled marble shower and floors. The 2nd and 3rd bedrooms are spacious and bright with mountain views. New Trane HVAC; windows and arcadia doors are updated and provide excellent efficiencies. This location is amazing and is close to everything.